If you’ve seen the movie “27 Dresses,” you remember the scene where Jane realizes she’s lost her planner, or “date book.” As a perpetual bridesmaid, she was constantly attending fittings, showers and ceremonies and had everything meticulously written in this book. Without it, she was panicked, knowing some obligation was likely to slip through the cracks. One shtick of this movie romance, problematic as it may have been, was Jane’s refusal to join the rest of society by recording her plans digitally. Not to spoil the ending, but she eventually does succumb when her love interest gifts her a Blackberry phone. A little much for an early relationship gift, but you see where we’re going with this: Digital is inevitable. In a fast-paced society, plans are constantly changing. Meetings are rearranged and parties are rescheduled and gym classes are canceled. As opposed to scratching out or erasing plans in the heavy paper planner that weighs down your purse or briefcase, consider a digital calendar tool. E-calendars provide for simple switches and no scratch-outs, and allow you to share your plans with friends and family. The following calendar tools are either free or free for a trial and can help your ever-changing agenda stay organized in one place. Microsoft Outlook is an email management tool that has an accompanying calendar feature. With this in mind, users can easily navigate from email discussions to their calendars, quickly recording meeting dates and other obligations. Outlook lets you share calendars with clients or colleagues, making important dates accessible and visible to those whom you give permission. It is accessible on iOS, Android or Windows devices and can even work on MacBooks. Outlook has gone through many iterations and is currently on Outlook 2016. It offers support for file sharing, keyword suggestions and allows users to create collaborative groups within the platform. It is a hub for efficiency, productivity and smoother business operations. Email, Calendar, Word, Excel, PowerPoint, Exchange, SharePoint, OneDrive, Skype for Business Microsoft Teams, Yammer. 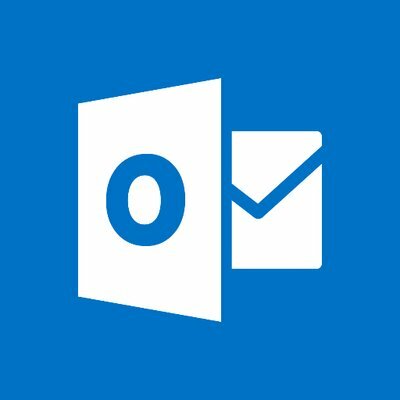 A one-month trial is free for those using Outlook personally. Beyond that, it’s anywhere from $79.99-$119.99 annually, depending on the package. Businesses pay per user, per month. The most basic plan for Office 365 Business is $8.25 per user per month. The Office 365 Business Premium costs $12.50 per user per month. To purchase Office 365 Business Essentials, users pay $5.00 per user per month. Google Calendar is one of many G Suite tools existing to bring organization and ease of communication to business scheduling. Google Calendar is available to anyone with a Gmail email address. It allows users to create and share events, invite colleagues and prospects to meetings and create shared calendars between teams. This product also offers event reminders so users are never overlooking an interview or professional phone call. Users can also publish their calendars online for greater accessibility. 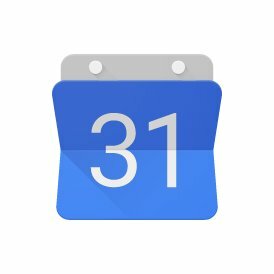 Google Calendar also integrates with other tools such as Zoom, which is helpful in getting external contacts to call the right number at the right time. Calendar Scheduling, Invitations, Shared Calendars, Reminders, Room Booking, Sync Calendar with a Phone or Tablet. Zoom, All Google Products, Trello, Zapier and more. G Suite is free for 14 days. Gmail and the accompanying features are free for independent users who do not wish to exceed 30 GB of storage. For the basic plan, cost is $5 per user per month. The business plan costs $10 per user per month. Enterprise edition costs $25 per user per month. There is a team pricing that costs $10 per user per month. iCal is the calendar offering by Apple Inc. that runs exclusively on macOS desktops and iOS operating systems. This calendar is, unfortunately, unavailable on Windows computers. Apple Calendar can also be used to share calendars and invites with friends and colleagues. 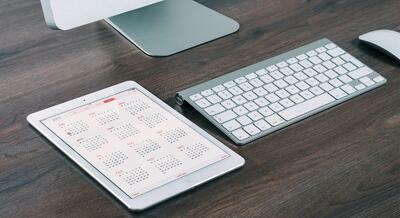 This calendar can give you desktop or mobile notifications with customizable frequency. This allows users to determine what they’re reminded of and when. Apple Calendar is separate from the iCloud calendar, although the interfaces are the same. Those who have an Apple ID have access to a calendar within iCloud, although the events saved on one calendar are not automatically uploaded to another. 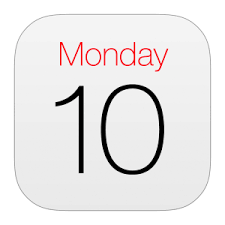 Apple Calendar is free to those who have Apple devices. Microsoft Exchange is another hosted email tool that offers calendar and contact features. Although it’s also a Microsoft tool, it differs from Outlook. Exchange can be deployed as either an on-premise solution or accessed via the cloud. Organizations can also deploy both types of solutions, if that’s what fits their needs. Exchange has many features that help organizations keep track of overflowing inboxes. It allows you to create collaborative groups that can tackle large volumes of work together. It also makes it easy to co-author and share files, furthering your company’s efficiency. 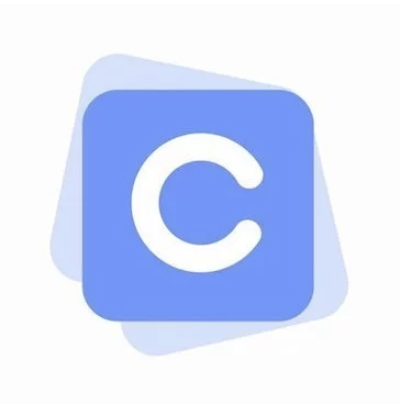 Multiple Accounts, Calendar Sharing, Email, Data Loss Prevention, Group Inbox, File Sharing, Coauthoring, Conversations, Tasks, Schedules and more. SharePoint, Skype for Business, Word, Excel, PowerPoint, OneDrive for Business, Yammer, Microsoft Teams and more. 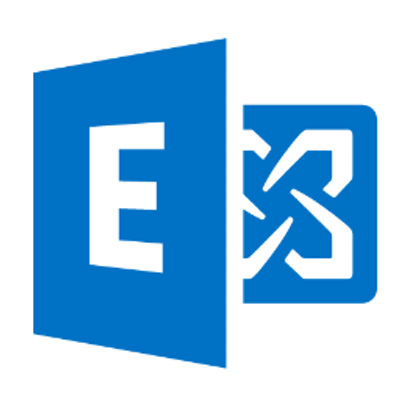 Exchange Server 2016 is free for a 180-day trial. Pricing after that varies from $4.00 per user per month to $12.50 per user per month. 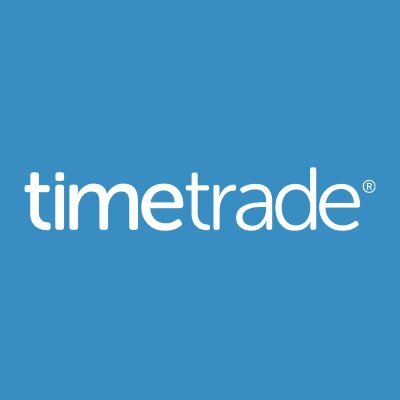 TimeTrade is an online appointment scheduling software. It has editions for individuals, businesses and enterprises. The platform is designed to help you capture customers as they’re most interested in your product or organization and get them onboard. Appointment Scheduling, Queue Management, Reporting, CRM Integration, Appointment Routing, Central Administration, Pooled Resource Scheduling. Salesforce and other CRM solutions. Product offers a 15-day trial. Beyond that, users pay $49 per person per year for individual use. Business and business plus plans cost $149-$300 per year. Scheduler for Salesforce costs $350 per year. The enterprise edition pricing is available upon request. 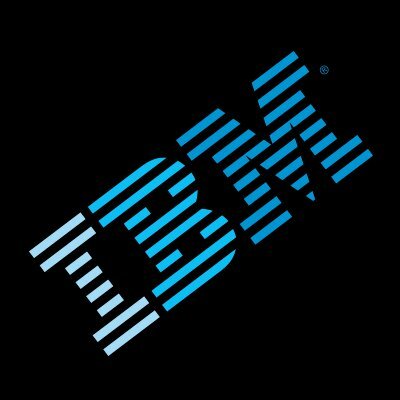 IBM Domino is an email client for enterprise organizations. Its homepage says it integrates social collaboration, messaging and business applications into a single workspace. It has features for emailing, calendaring and managing contacts. IBM Notes is a cohesive collaboration tool for tasks and projects, and calendaring is only a single part of that. 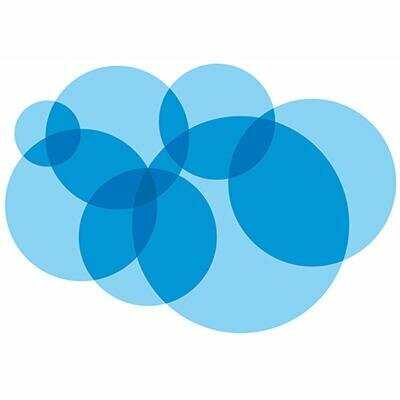 Email, Calendar, Contact Management, IBM Connections Files and Connections Profiles, Instant Messaging with IBM Sametime. IBM Notes offers a free 90-day trial for users to decipher whether it’s the right tool. Users should contact the vendor for additional pricing information. Silverline Calendar is a tool that allows you to create and customize your own calendars. It allows you to record events, opportunities, campaigns, tasks and custom objects. 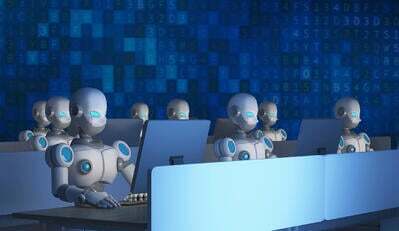 It has a drag-and-drop interface where events can be cloned and set to recur. Silverline Calendar is a custom calendar app for Salesforce. It exists to help sales teams and professionals remain in control of their calendar and scheduling. It is even utilized within the Salesforce corporation. It has robust search features and supports group calendaring. Toggle Between Calendars, Dynamic Search, Switch Views, Shared Calendars, Create/Edit Easily, Chatter Integrated. This product offers a 15-day free trial. Beyond that, it’s $10 per user per month. Appointment.one is an appointment or meeting scheduling tool that boasts its simplicity. It can be used for one-on-one conversations or book time for an entire team to meet. It also can be configured to show people’s availability. This is a useful tool for client booking, as it allows them to see open times to meet with your employees. Attendees enter their information into a form, which in turn creates a calendar event. This helps the meeting leader understand who all to expect on a call or in a meeting. Teams, Groups, Multi-Calendar, Self-Scheduling, Create Real Appointments. Common CRMs, Trello or other built-in integrations. This product is free for basic users. The standard plan is $9.95 a month, and the enterprise plan is $14.95 per month. Axigen is a business email and communication tool with calendaring capabilities. It allows users to schedule meetings and organize their workflows. Calendars can be shared between users, and the tool can book conference rooms for efficient meetings. Calendars can be personal or public, depending on their unique nature. Users can also take notes within the calendar tool regarding meeting partners or reminding Bob to bring the forms from HR. Schedule Meetings and Organize Tasks, Share and Delegate. Integrations are not readily available. 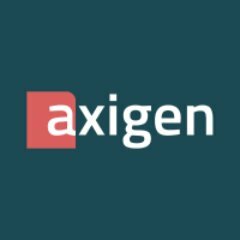 Axigen is free for five or fewer users. Beyond that, users pay annually. The Business Core plan with up to 10 users costs $543 for the first year. The Business Complete Plan for up to 10 users is $630 for the first year. CalendarX is a calendaring tool that facilitates audience communication. It allows administrators to update a calendar of events so a public audience can remain up to date. Administrators can generate an unlimited number of calendars and give website visitors the opportunity to follow them. This type of calendaring tool proves useful to towns trying to keep residents updated on events, or companies that want customers to come out and celebrate occasions. Events can be recurring or one-time. Audiences can opt to receive notifications so they never miss a change. Calendar Creation, Follow, Repeat Events, Promotion, Calendar Import, Customization, Interactive Data and Analytics. Contact vendor for details on integrations. This tool is free for hobbyists. Beyond that, users should visit the pricing page for information. Calendar is a calendaring tool that syncs machine learning into the app to help users better manage their meetings and overall productivity. Currently only in beta, the app has smart features that can automatically find the best times for meetings, as well as enterprise team functionality for larger organizations. Calendar Creation, Follow, Repeat Events, Promotion, Calendar Import, Team Functionality, Machine Learning. Currently free and in beta. Gone are the days of “penciling people in” and forgetting a day’s worth of activities because a daybook was left at the gym. 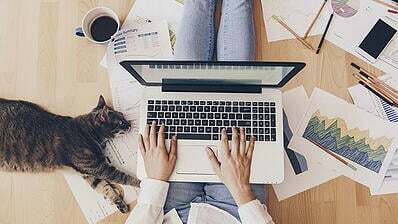 Digital calendars allow people to keep their schedules on the devices they’re already looking at most hours of the day. These calendar tools go beyond the standard functions of a planner as well. Calendar apps can be used for online appointment scheduling. Examples of these types of products are Setmore and Teamup. If you’re ready to jump on board, consider a tool on G2 Crowd’s digital calendar page. 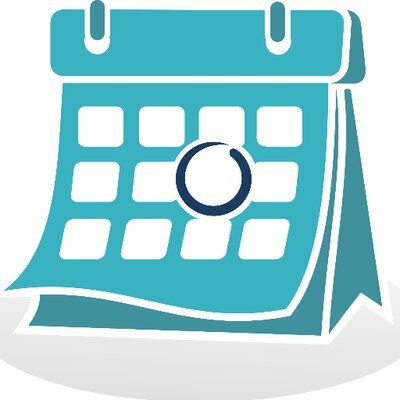 If you’re currently using a calendar tool and feel like you have some things to say, leave a review!